- Reusable - Simply Insert a New Glow Stick! - Floats in Water and is totally waterproof! 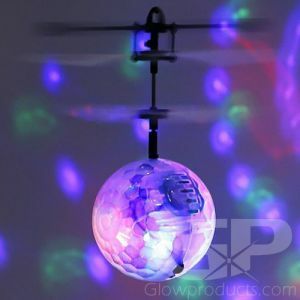 Glowing Beach Balls are just the thing for the party at the pool or for any groovy special event! The Glow in the Dark Beach Ball Assorted Color Pack comes with 12 Beach Balls and 12 Glow Stick Inserts. 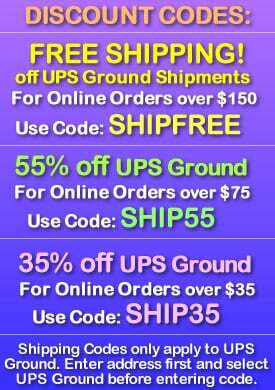 The Lighted Beach Ball Assorted Colors include 2 Green, 2 Blue, 2 Yellow, 2 Orange, 2 Aqua and 2 Pink Glow Stick Inserts. 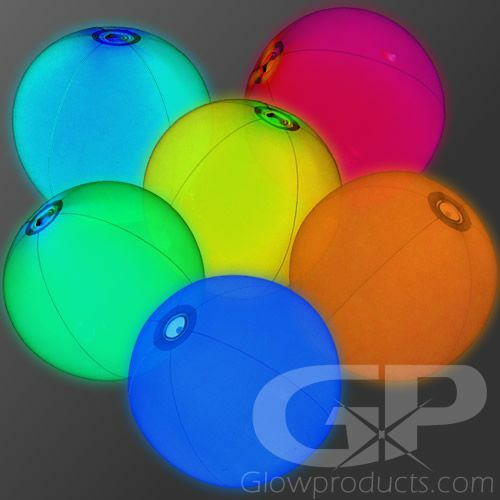 Light up beach balls are great for evening Spring Break events, epic family BBQs, concerts of all shapes and sizes, and make fun glow in the dark decorations too! And of course you should bring a few Glowing Beach Balls to your next pool party extravaganza or fun summer gathering at the lake! Each Glowing Beach Ball lights up with a replaceable 6" glow stick (included) so you can play with these fun glow in the dark balls again and again. Instructions: Inflate the Light Up Beach Ball and then bend the included 6 inch glow stick just enough to crack the internal glass ampoule. Give it a shake to start the glow! 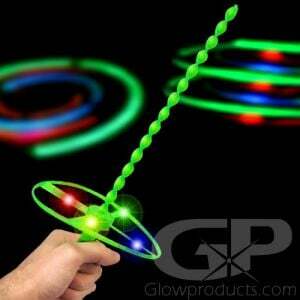 Insert the 6 inch glow stick into the center insert point of the Glowing Beach Ball. This is easiest to do when the glow in the dark beach ball is already fully inflated. 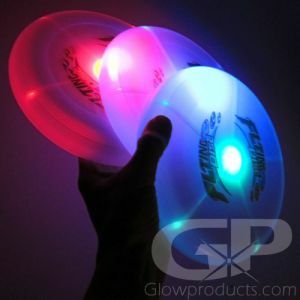 For additional inserts, the Glowing Beach Balls use 12 Hour Premium 6" Glow Sticks.